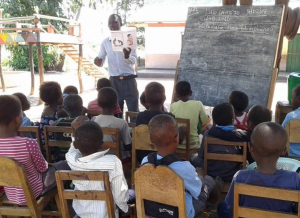 We partner with schools in developing countries that are lacking in resources. That may be books, paper, pens, laptops, projectors, paints and so on. Every child should have the tools they need to learn and pursue their passions. We also hire and train teachers. We leave the recruitment process to the leadership team within our partner schools and we sponsor their wages on a yearly basis. Where necessary, we provide additional training via Skype; The No Barriers Foundation is led by teachers and we have delivered training on areas from behaviour management to phonics to visual maths teaching. This is a new area for The No Barriers Foundation but it has always been one of our long term aims. In many parts of the world, schools which educate children for free are oversubscribed and often don’t extend beyond one classroom. Wherever we build new classrooms, we ensure that local people take a lead on the design of the building as well as sourcing supplies and labour. Every school or classroom we will build will provide work to local people. We are currently working on building a second classroom for one such school in Malawi (pictured left). This school currently has one classroom and they often have to teach outside to accommodate their students. We aim to use this experience to expand in to more schools in more countries to build more classrooms and, eventually, new schools. When we send books to schools, these are usually written in English due their availability. Where possible, we try and send books written in children’s native languages but this is difficult; these books are fewer in circulation and we rely on whatever is donated to us. To tackle this, we are working with authors who are native to the schools we work with to publish dual-language books. 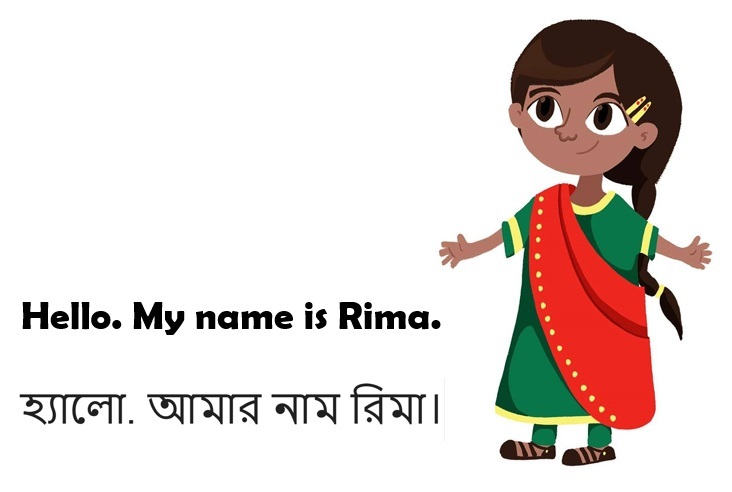 Our first, Rima’s First Day, follows our main character Rima. 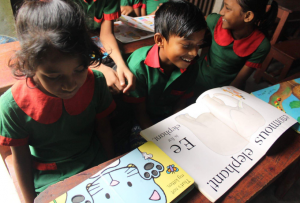 The book is written in Bengali and English and the content of the book complements the Bangladeshi curriculum. We plan to do this with more authors in more countries soon. We work across three continents, often in challenging circumstances, but in one part of the world right now there is a crisis that we cannot ignore. Since August 2017, nearly 700,000 Rohingya people have fled from their homes in Myanmar in to southern Bangladesh. Their villages have been raided and burnt down, loved ones have been killed, raped or have disappeared without explanation. 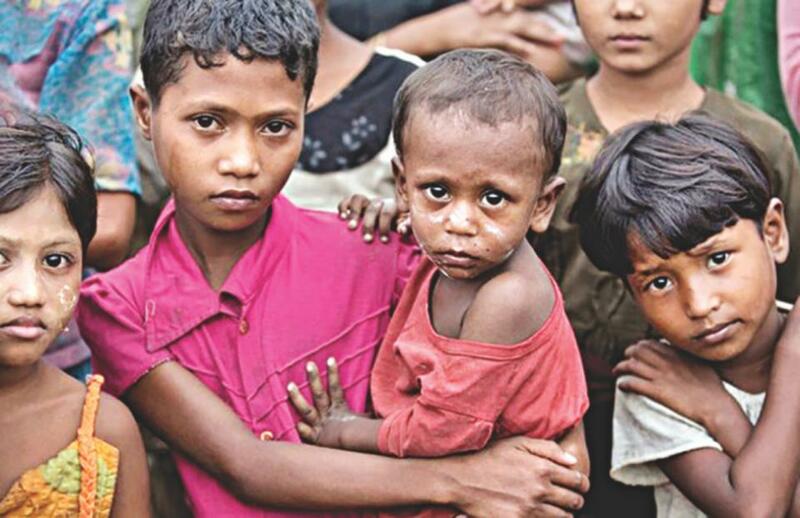 Hundreds of thousands of Rohingya children are currently in refugee camps going through a daily battle to survive. We are supporting Children on the Edge who are based in the Rohingya refugee camps. We want to support them in building temporary learning centres, hiring teachers and providing safe spaces for these incredibly resilient children. You can support this work by visiting our fundraising page.